Hello! I’m hosting a video series called ‘10,000 Miles to Boston’ with Hyland’s Powered! We’re following a team of healers = doctors, nurses, therapists, etc as they train to run the Boston Marathon. All together the team will run 10,000 Miles as they train! Whoa! Marathon training is hard for a lot of reasons. It’s time consuming, physically challenging, mentally taxing and more. So in addition to following along as they rack up the miles we’re checking in with how they’re balancing work and home life too. Plus – all the team members are doing very important work helping to heal others in different ways. Follow @HylandsPowered on Instagram for all the videos. They’re short, fun videos so you can check out a few at a time. 1. 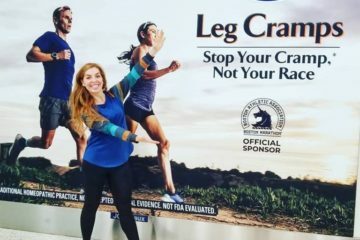 I started RunEatRepeat.com 10 years ago to share my 1st marathon training & weight loss journey. (Both were very hard for me.) I NEVER thought I’d fall in love with running or that anyone would read and follow RER! Thank you for reading! xoxo. 2. I ran the Boston marathon in 2017 as part of the @hylandspowered All Female team – in honor of the 50th anniversary of the 1st woman to run the race! Kathrine Switzer ran the race in 1967 and was almost pushed off the course by a race official!! 3. 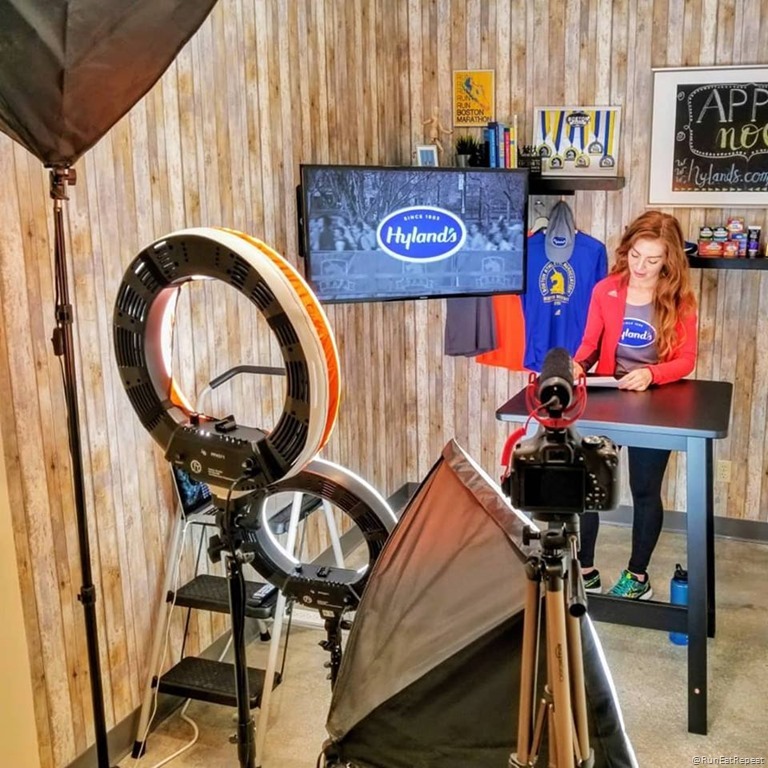 This year the Hyland’s team runners are healers = doctors, nurses, therapists, etc… And I’m the host of ‘10,000 Miles to Boston’ – a video series on their training. The video below is a fun lil segment on ‘meeting the host’. 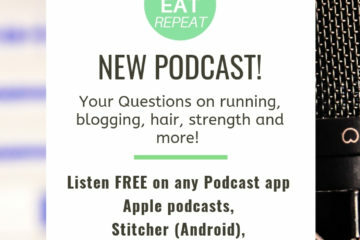 We are covering all aspects of the team’s training – how they found out they made the team, training updates, mantras, what they’re eating, how they’re balancing running with work and home life, mindset and more! Follow Run Eat Repeat on Instagram as I cover all the behind the scenes of this project. 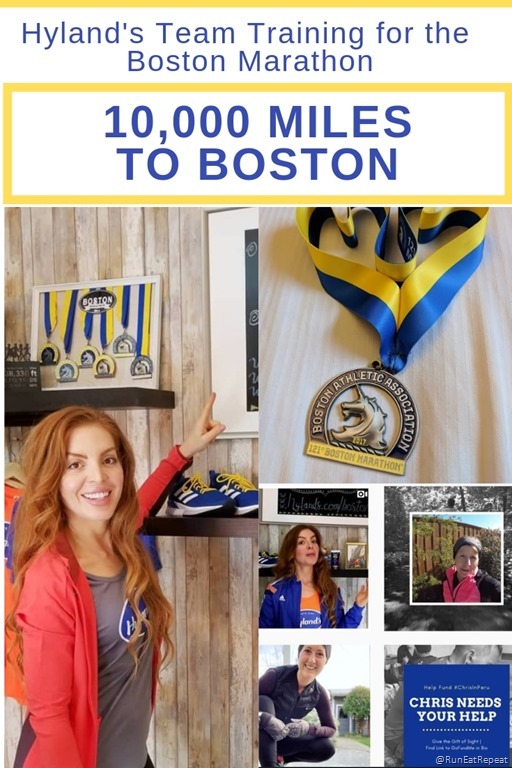 And I’ll be in Boston for the race interviewing the team and covering race weekend events like the expo and adventures around the city! Let me know if you have any questions on the race or things you’d like to see during race weekend! !